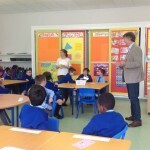 In September Dr. Niall Muldoon, The Ombudsman for Children in Ireland came to visit our school. 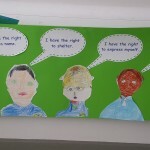 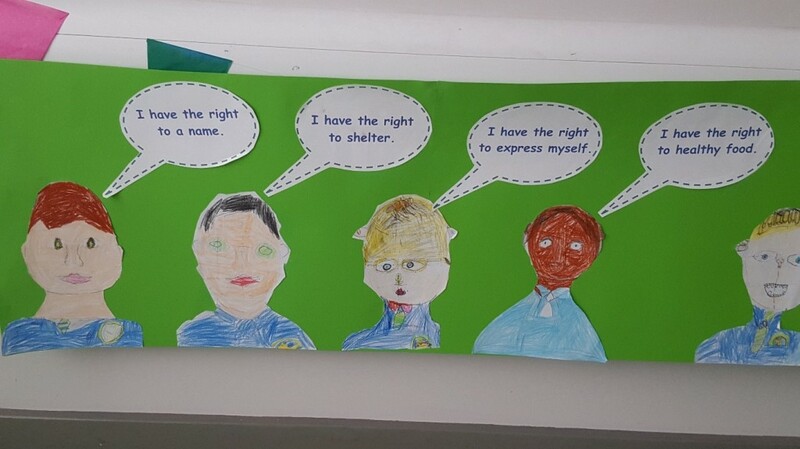 We were very grateful to the Ombudsman for giving us posters that teach us all about the rights of children. 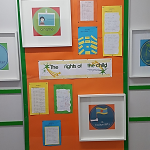 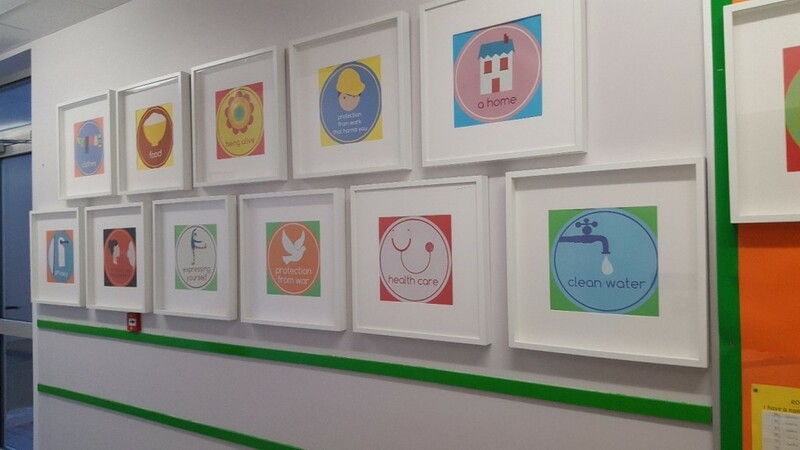 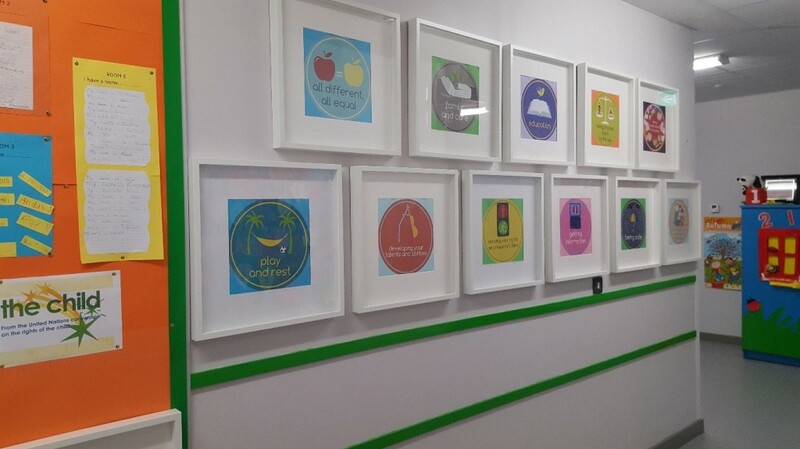 Every month we focus on one of the rights of the child, with all children learning about and taking part in the wonderful display we have every month. 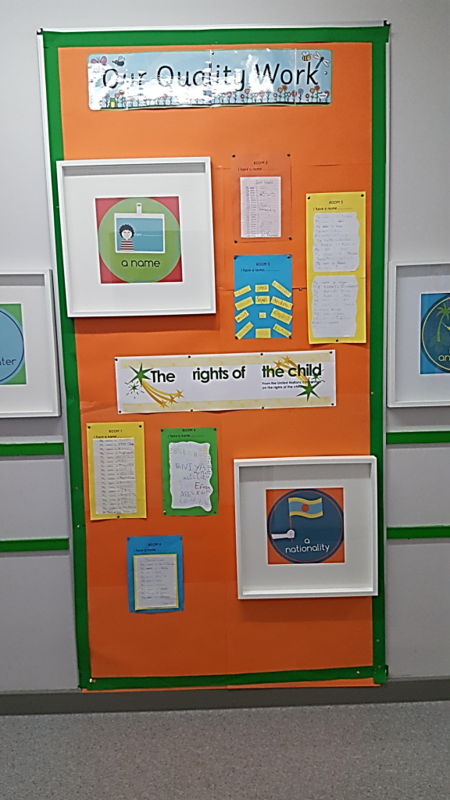 In October we focused on every child’s right to a name. 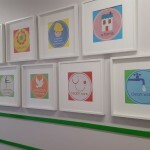 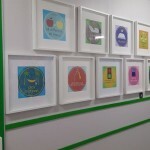 All the boys and girls wrote their name down and put it up on display. It was lovely to see all the children’s names together from Junior Infants all the way up to Second Class. 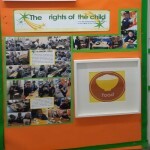 In November we focused on every child’s right to food. 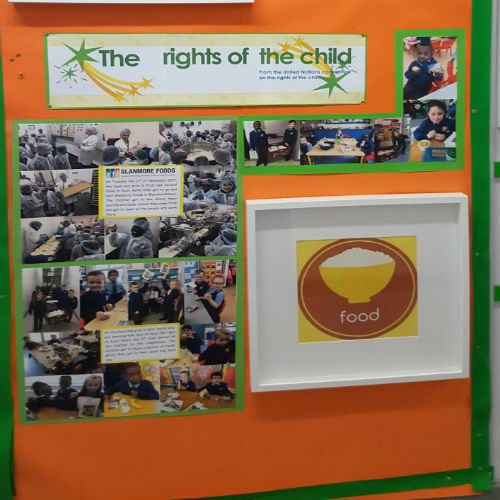 Every day the boys and girls in Scoil Aoife C.N.S get their lunches delivered from Glanmore Foods in Blanchardstown. 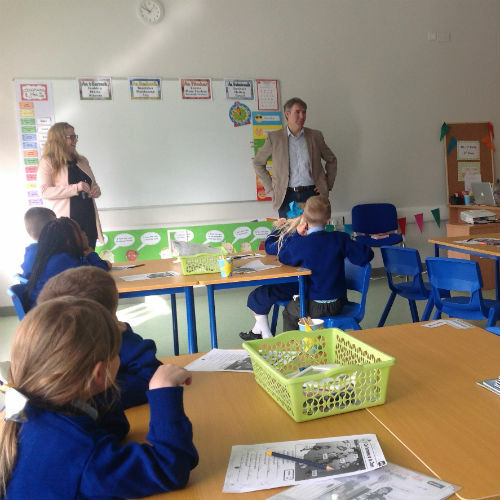 First and Second class were delighted to get the opportunity to go and visit Glanmore Foods to see where their food comes from, to see who makes it and to see how it is produced and packaged. 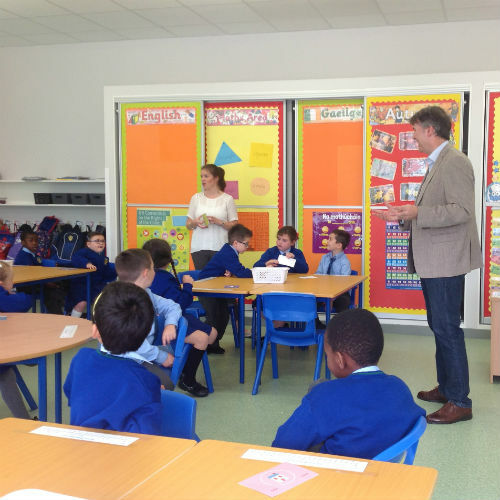 In November we were also learning about ‘Bia’ in Gaeilge.